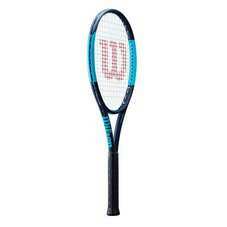 The Ultra 100 Countervail is the most versatile racquet in the Ultra franchise. Featuring Countervail Technology that maximizes player energy and integrated power technologies that get the most boom for your buck, this racquet is a game-changer for players of all levels and styles. Uncontaminated design features modern aesthetic with clean lines, bold color accents, midnight navy matte finish and smooth, velvety paint.